Value of Your HomeContact Us Now! THIS AGREEMENT DESCRIBES THE TERMS AND CONDITIONS PURSUANT TO WHICH YOU MAY ACCESS AND USE THE SERVICES PROVIDED ON ConstecRealty.com. ConstecRealty.com publishes this website as a service to our clients and friends for informational purposes only, and not for the purpose of providing real estate or legal advice. You should not consider any information on this website to be real estate or legal advice and should not act upon any such information without seeking professional counsel. Use of and access to this website does not create an attorney-client relationship, realtor-client relationship or any other relationship between ConstecRealty.com and the user or browser. Accordingly, do not send us any confidential information unless and until a formal and contractual relationship has been established, as such information will not be protected by the attorney-client or any other privilege. If any communication from this website is not in conformity with any jurisdiction's rules and regulations governing Realtor or Attorney conduct, ConstecRealty.com, its agents and assigns, will not accept representation which is based upon such communication. We have attempted to provide users of this website access to other websites of possible interest by installing hyperlinks to such sites. ConstecRealty.com makes no representation or warranty whatsoever, including as to accuracy or completeness, of any of the information that may be accessed from this website. By including a hyperlink to another website, ConstecRealty.com makes no endorsement of the views or opinions stated therein. PLEASE READ THIS AGREEMENT CAREFULLY AS YOU MUST AGREE TO ALL OF ITS TERMS BEFORE USING THE SERVICES PROVIDED AT THIS website. BY COMPLETING THE ENROLLMENT PROCESS AND RECEIVING YOUR PASSWORD TO ACCESS THE website YOU WILL RECEIVE THIS AGREEMENT. YOUR USE OF THE SERVICES PROVIDED AT THIS website THEREAFTER CONSTITUTES YOUR AGREEMENT TO BE LEGALLY BOUND BY THE TERMS AND CONDITIONS OF THIS AGREEMENT AND TO ABIDE BY THE TERMS OF THIS AGREEMENT AS IF YOU HAD SIGNED THIS AGREEMENT. IF YOU DO NOT WISH TO BE BOUND BY THE TERMS OF THIS AGREEMENT, YOU MAY NOT ACCESS THE WEBSITE. ConstecRealty.com reserves the right at its sole discretion to change, modify, add or remove portion of this Subscriber Agreement at any time without notice or liability, and such modification shall become effective upon posting on the website and/or electronic transmission to you. Your use of the services at this website following any such modification shall be conclusively deemed to be your acceptance of such modification. ConstecRealty.com may change, suspend or discontinue any aspect of the service provided at this website at any time without notice or liability, including the availability of any feature, database or content. ConstecRealty.com and all materials included at ConstecRealty.com (hereafter Content) are protected by all applicable copyright and trademark laws and owned by ConstecRealty.com or the party credited as the provider of the Content. All rights in the Content are expressly reserved by the applicable copyright and trademark owner. You may download one copy of the Content provided by ConstecRealty.com to a single computer for your own use. 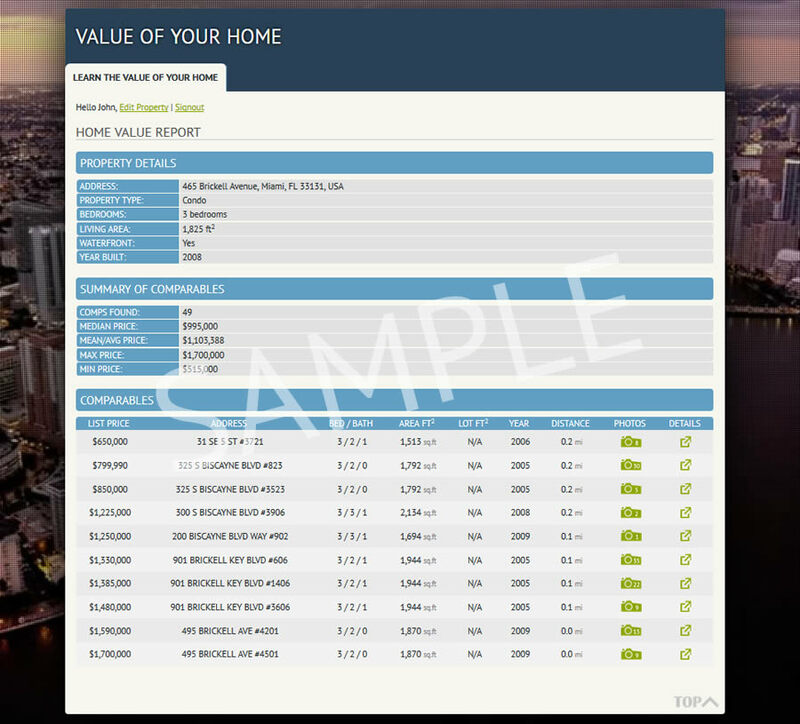 You may also use copies of Content provided by ConstecRealty.com in connection with your real estate business, provided all such copies indicate the Content is copyrighted by ConstecRealty.com and is reproduced with ConstecRealty.com permission. The following legend should be used in connection with all copies of the Content authorized by this subparagraph: "Copyright The ConstecRealty.com Team, Reprinted with permission." All Content provided by any party other than ConstecRealty.com will identify the party who provided that Content. You may download one copy of Content credited with being provided by any party other than ConstecRealty.com for your own personal, non-commercial use. Content provided by any party other than ConstecRealty.com may not be copied, reproduced, republished, uploaded, posted, transmitted, or distributed in any way except with the express authorization of the party providing the Content. ConstecRealty.com may from time to time make available "discussion areas" on various subject matters which may of interest to persons authorized to use ConstecRealty.com. ConstecRealty.com may, with or without notice, and at the sole discretion of ConstecRealty.com, establish, discontinue and/or delete any or all "discussion areas." You agree that if you participate in a "discussion area" (post or read a message or comment at the discussion area) you will abide by the rules and regulations governing discussion area as hereinafter setforth. ConstecRealty.com does not review the content of messages or comments posted to discussion areas within ConstecRealty.com by persons authorized to use ConstecRealty.com other than ConstecRealty.com, and you agree that ConstecRealty.com shall have no liability for any damages arising out of the content of those messages or comments. If you post a messsage or comment at a discussion area, you agree to indemnify and hold ConstecRealty.com harmless from any and all liability, damages or expenses whatsoever due, directly or indirectly, to any cause of action arising out of the message or comment posted by you. ConstecRealty.com is authorized, but not obligated, to reproduce and distribute through ConstecRealty.com's website service copies of all comments and messages posted to a discussion area. ConstecRealty.com reserves the right, but does not assume a duty to any party, to delete from any discussion area any comment or message which ConstecRealty.com determines, in its sole discretion, does not comply with these rules and regulations. You agree to use discussion areas in ConstecRealty.com only for lawful purposes and not to post any unlawful message or comment or in any other way use ConstecRealty.com so as to violate any local, state, or national law. You agree not to post any defamatory, libelous, vulgar, sexual explicit, or obscene messages or comments. All comments and messages posted to a discussion area in ConstecRealty.com will reflect the professionalism of Real Estate Agents and the spirit of good business conduct. You agree not to take any action which would disrupt the dialogue in a discussion area or take any other action which would interfere in the normal use of ConstecRealty.com by other authorized users. You agree not to post any advertising, promotional or other type of solicitation to other authorized users of ConstecRealty.com except in those areas of ConstecRealty.com where such postings may be specifically authorized. You agree not to impersonate any other person in your postings to a discussion area in ConstecRealty.com. Individual discussion areas may have additional rules and regulations specific to the subject matter being covered in the discussion area. These rules and regulations will be posted at the discussion area. You agree to abide by the rules and regulations of individual discussion areas in which you participate. ConstecRealty.com may contain links to other related Internet sites, resources, sponsors, affiliates and other unrelated parties. ConstecRealty.com is not responsible for the availability of these outside sites or their content. ConstecRealty.com is neither a sponsor, partner, promoter or publisher of such sites or their content, and expressly disclaims any responsibility or liability for the content of those sites. You should direct any concerns regarding any external link to the site administrator or Webmaster of such other site. ConstecRealty.com is provided "as is" and ConstecRealty.com makes no express or implied representations or warranties to you regarding the usability, condition or operation thereof. ConstecRealty.com makes no representation or warranties that access to or use of ConstecRealty.com will be uninterrupted or error-free, or that ConstecRealty.com will meet any particular criteria of performance or quality. ConstecRealty.com expressly disclaims all implied warranties, including without limitation, warranties of merchantability, title, fitness for a particular purpose, non-infringement, comparability, security or accuracy. In no event will ConstecRealty.com be liable for any damages including, without limitation, incidental, consequential, or indirect damages for loss of business profits, business interruption, loss of programs, or information, and the like arising out of the use or inability to use any information or services provided on ConstecRealty.com. ConstecRealty.com does not represent, warrant or endorse the accuracy or reliability of any information displayed, uploaded, downloaded or distributed through ConstecRealty.com by any user, or any other person or entity. As part of the registration process, you will be assigned a password. You agree to provide ConstecRealty.com with accurate, complete, and updated registration information. Failure to do shall constitute a breach of this Agreement, which may result in immediate termination of your access to ConstecRealty.com. ConstecRealty.com reserves the right to send electronic mail to any and all users of ConstecRealty.com for the purpose of informing them of changes or additions to ConstecRealty.com or any related services or products. ConstecRealty.com may at any time, in its sole discretion terminate, limit or suspend your access to ConstecRealty.com, without notice or liability, for any reason whatsoever, including without limitation your breach of this Agreement or the termination of your access to ConstecRealty.com.